We don’t normally do directors for this post. Why? I don’t know to tell you the truth but we don’t. 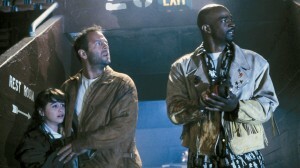 However, I’ve been bagging on Tony Scott on my podcast alot lately for three reasons. 1. His films are starting to look the same. 2. He continues to make films with Denzel Washington, who happens to be a fine actor, but variety is the spice of life as they say. 3. He made a movie called Unstoppable about a train that gets stopped. REPEAT: They stop… the effing… TRAIN! WOW! Did I just do a list within a list? I did. THAT JUST HAPPENED! 5. THE LAST BOY SCOUT. 4. ENEMY OF THE STATE. AKA: THE CONVERSATION 2. 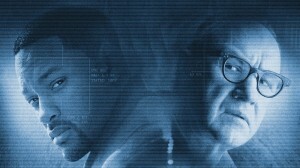 Mainly because Gene Hackman seems to be unofficially reprising his role from the original film by Francis Ford Coppola. Also, another example of an early action film from a now very popular action film star. In this case, Will Smith. While it features a bit too much commentary on the horrors of Big Brother watching us, it also turns in a solid watch. 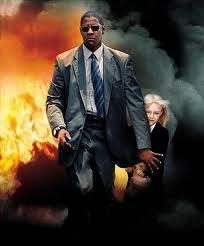 … or the film with Denzel that worked. I don’t know why I like this film so much. Quite honestly, most of the cast (namely Radha Mitchell, Dakota Fanning and, DEAR GOD, Marc Anthony) really bug me. What can I say? It takes everything that Tony Scott tries to do in his films stylistically and just manages to use them in the right vain. It was also one of Mickey Rourke’s comeback films and features, the always fun, Christopher Walken. 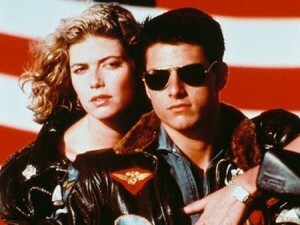 Everybody loves Top Gun and I just did a whole rant on it for Val Kilmer the other day so I’ll keep this brief. Besides, I really only have to say Volleyball Scene! Maybe Scott should work with Val Kilmer more often. Seems to be his good luck charm. Tarantino probably gets most the credit for this one but is by far Scott’s best film. And he manages to make it about as good as it could be, short of Tarantino doing it himself! 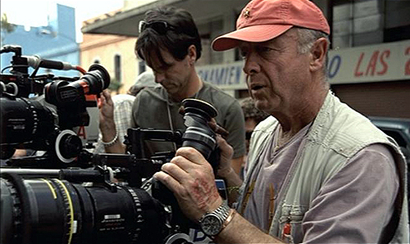 This entry was posted on May 10, 2011 at 5:52 am and is filed under Top 5 Movies with tags Tony Scott. You can follow any responses to this entry through the RSS 2.0 feed. You can leave a response, or trackback from your own site. What? what? Where is Crimson Tide? I think I know where it all started going wrong with Tony Scott: Enemy of the State. Not a bad movie but you can see that’s where all the over-editing and needless visual effects are starting to peek their ugly head. Haven’t seen #3, and would probably swap 4 and 5, but your top two are at least spot on. In place of #3, I’d toss in Spy Game, aka the last solid movie that Scott made. Good list – can’t argue with you. True Romance definitely benefits from Tarantino’s input, making it feel different from the rest. I really like Enemy of the State though.